We have been using Havering Carriage for in excess of 6 years, their service is second to none, with punctual, polite and helpful drivers, exceptionally clean and extremely comfortable vehicles. Both Peter and Louise are a pleasure to deal with and one or both are always available outside normal working hours for emergency bookings or alterations. Always provide a 5 star service, a completely professional company. Having experienced the first class service that Peter Turner and his Havering Carriage Company has to offer myself; I would recommend them as your number one car service in London. Their friendly office staff are there to answer any question you have at any time of the day or night. The prompt and courteous drivers and immaculately kept vehicles are always there on time, to assist with your travel needs and get you from point to point with ease. The Havering Carriage Company operates to the highest possible professional standards and maintains a superior level of service. They are efficient, punctual and can adapt with ease to last-minute requests or changes. 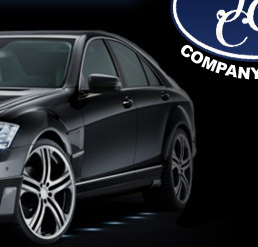 Their fleet of Mercedes-Benz vehicles are always immaculate and driven by smart, courteous and discreet chauffeurs. 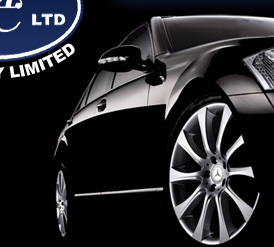 We have used The Havering Carriage Company as our sole executive car provider for more than ten years and are delighted with the service they provide. We have no hesitation in recommending them to new clients. The Bernard Group has dealt with Peter Turner of Havering Carriage for many years and we have always found him reliable, trustworthy and an absolute delight to work with. 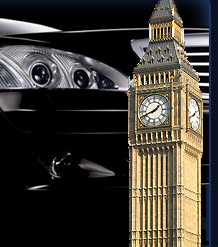 We, as a Company, have very important visitors travelling from various countries arriving and departing from different airports at all hours of the day and night, and we receive many compliments on the punctuality, friendliness and businessman-like manner in which Peter and his colleagues carry out their duties. We have never been let down by Havering Carriage, in face quite the reverse. Peter will always go out of his way to accommodate any last minute requests. The vehicles of Havering Carriage are immaculate, together with the appearance of the drivers. 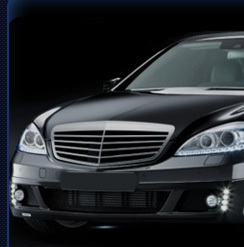 We would not hesitate in recommending Havering Carriage as a professional chauffeuring company to any new clients. CNH is the world's largest agricultural machinery manufacturer; the Tractor Plant, based in Basildon, Essex, UK has a workforce of almost 2,000. This is to state the Havering Carriage Company is our preferred provider of Chauffeur Driven Private Hare vehicles. The vehicles are of a very high standard and are meticulously maintained both for safety and cleanliness. The drivers are efficient and discreet. Mr Turner and his drivers provide chauffeur services to the Company President and Senior Vice-Presidents on a regular basis. Since 1997 Havering Carriage have supported Johnson Controls in providing a limousine service for clients, employees and customers with the main activity being transfer to and from airports. The professional service offered by the Havering Team is not only fantastically provided by the drivers, but also extends to their central booking office staff who ensure the timely exact communication of information thereby ensuring prompt collection when required. All drivers whom I personally have had the pleasure to meet are courteous, professional and sensitive to the needs of the International traveller particularly after long distance flights. Their vehicles are always presented to the highest standards with the majority being the latest executive vehicles of less than 12 months old. This reinforces the professional image that Havering Carriage presents to its clients. In summary, based on the past 6 years service to Johnson Controls I would have no hesitation in recommending Havering Carriage to provide executive limousine services not only for travelling employees, but also for collection of Senior Executives for Customer organisations.